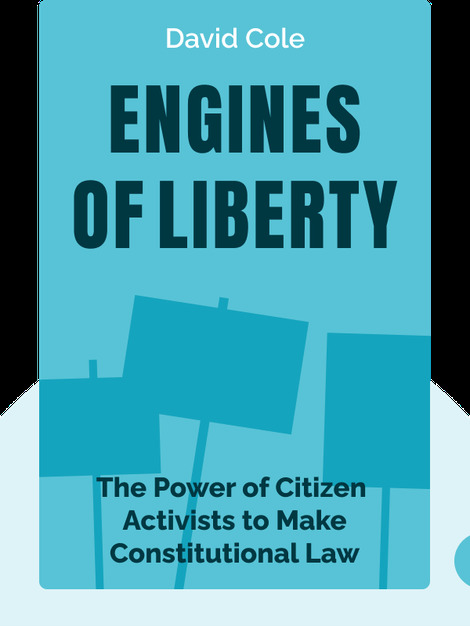 Engines of Liberty (2016) is an exploration into the influence citizens can have on government, and the changes that can be brought about through activism, the spreading of information and the mobilization of one’s peers. When it comes to the big issues of our time, like gay marriage, guns and human rights, it’s passionate citizens who are speaking up for what they believe in and bringing about change. 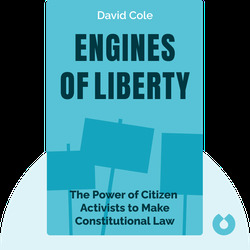 David Cole is a professor of Law and Public Policy at Georgetown University Law Center and an advocate for civil liberties. In addition to being a contributor to publications such as the New York Times, the Washington Post and the Wall Street Journal, he is also the author of multiple books, including No Equal Justice and Enemy Aliens.